Bizarre footage has emerged that appears to show a strange, yeti-esque creature casually roaming through the desert. Reportedly filmed in Portugal, the oddly man-like beast can be seen slowly strolling about before disappearing behind a bush in the centre of the screen, reports The Mirror. Other people have remarked that the footage has an eerie similarity to Roger Patterson’s classic Bigfoot video, shot in 1967. The Portuguese video, which was first uploaded to the Internet about a month ago, has now been viewed nearly 100,000 times, however, most people are pretty sceptical about its authenticity. Wow it disappears precisely behind that bush that gets in the way of the a camera. It has to be an alien. 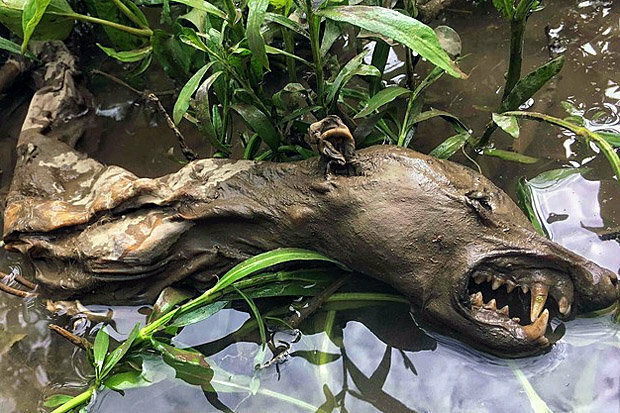 The latest ‘sighting’ (cough) comes barely a week after the carcass of another vampire beast was pretty much tripped over by a guy out fishing in Big Darby Creek in Ohio. But conveniently unfortunately, he was ‘unable’ to bring the corpse back to be examined. Well, I’m convinced. Oh no, wait, I’m not. At all. 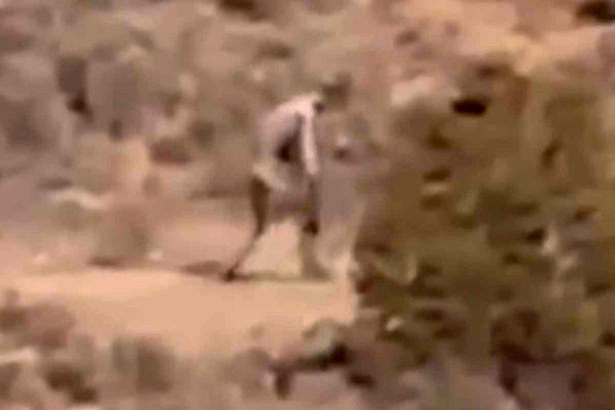 Strange creature caught on camera walking in the desert - is this goat-killing Chupacabra?